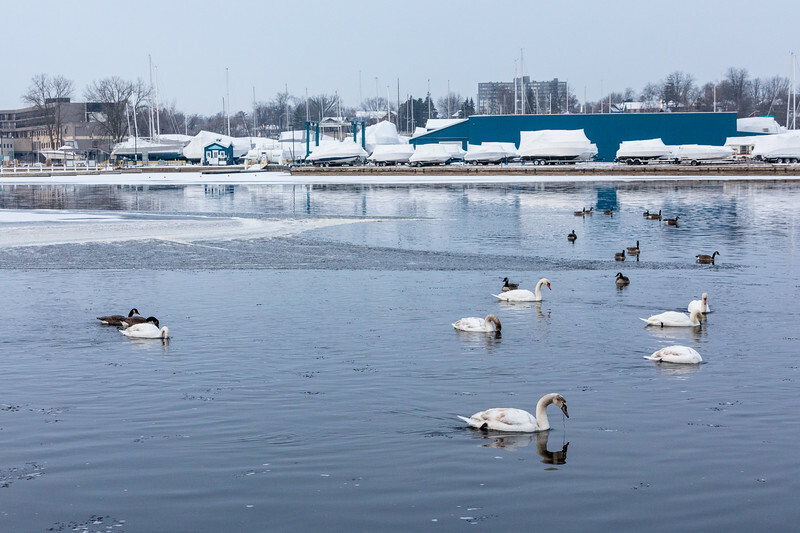 Pictures taken in and around Belleville Ontario during 2018 December. Pictures generally shown in reverse chronological order: newest first. Swans, geese and a duck on the Moira River.